Purpletree software LLP provide an advanced and comprehensive multivendor, which is make easy to manage products by vendors. If vendor wants to manage his products by self then they are eligible to manage products. But without admin permission it’s not possible to manage products. So vendor need to approval for managing his products by admin. And one thing is more important to know that is subscription plan. Because if admin set subscription status yes than vendor can’t manage his own products without subscribe any plan. It’s important to show admin and vendors all products. 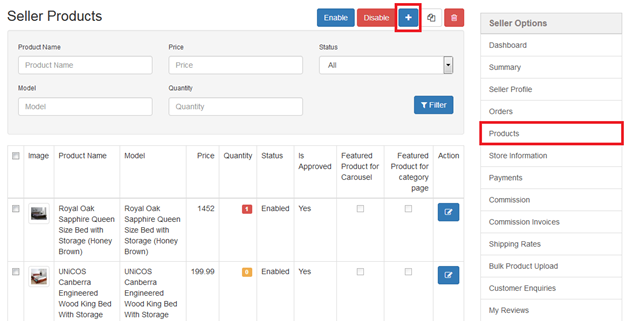 Admin can organize products by status to see which products are done and which need to be approval. For the adding new product you need to follow this way. 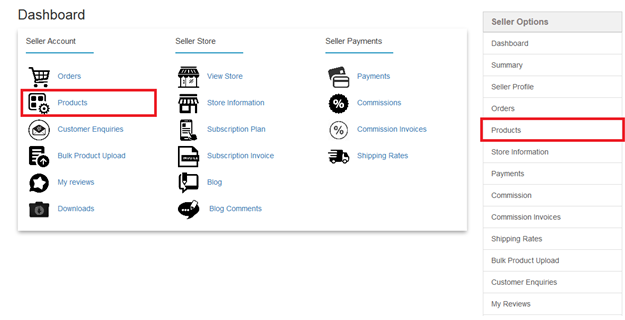 When you open your opencart first you will see seller panel where Products link will show. Go to seller panel and click on Products. After completing this step open seller products page where vendor can see all products. And vendor can add new product here after clicking on add icon which is mentioned on top right corner. On the seller products page vendor can add new product. After clicking on add icon, product form will open. In product form everything is available for make a new product, which are divided in to many tags like General, Data, Links, Attribute, Option, Discount, Special, Image, Reward points, SEO etc. In this form many fields are required, so fill the form with required fields and submit after complete. 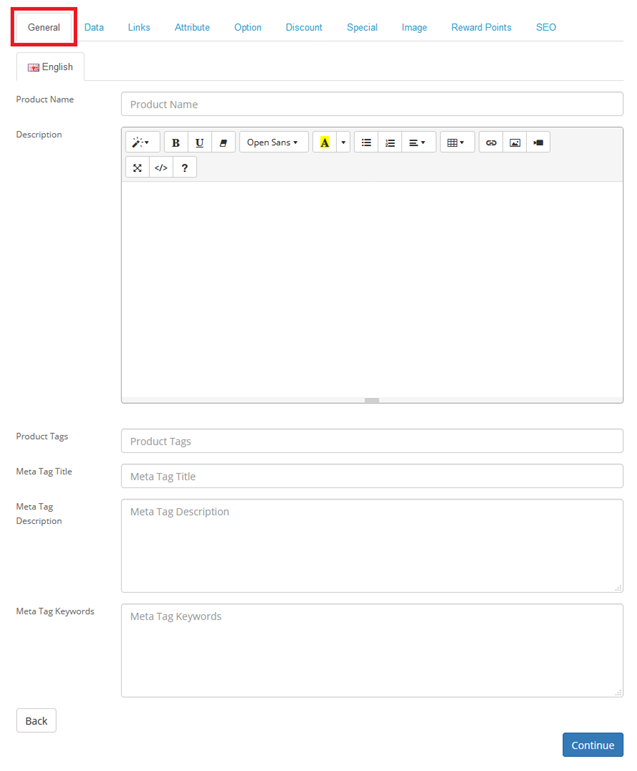 In general tag you can add easily product name, Description, Product tags, Meta tag title, Meta tag description, Meta tag keywords etc. In data tag vendor can add more about product like mode, sku, location , price, quantity, minimum quantity, out of stock status, date available, length, height, weight etc. If vendor want to show this added product on featured products & categories products than he can select option yes. In Links tag vendor can add about product manufacturer, categories, filter, and Stores ets. Here vendor can add attribute for product. In discount tag we provide some fields which are more important for products like quantity, priority, price, date start & date end. In image tag vendor can add images of products. If vendor wants to add reward points on products than he can add. Here you can add a link for SEO. After completion these all process you can see your added product in seller product list. Vendors can add new products easily with purpletree multivendor, they no neede to face difficult way for adding new products. Managing products, as mentioned, means being organized. Store admin should keep an eye on all vendor products. Vendors should also know when a product is approved by admin, so they can make sure an product is completed as soon as possible.